MILWAUKEE, WIS. - The national law firm of Quarles & Brady LLP announced that John W. Daniels Jr., chairman of Quarles & Brady LLP, received an Excellence in Education Award from the Milwaukee Public School ("MPS") Board of School Directors. Each month, the MPS Board of School Directors selects one individual to receive an Excellence in Education Award in recognition of excellence, achievement and innovation that may serve as an example to the school district and the entire Milwaukee community. 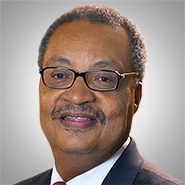 Daniels received the award for his efforts surrounding the Morehouse Scholarship program through his engagement of Milwaukee's business and philanthropic communities. His efforts raised more than $800,000 to support student scholarships. MPS superintendent Dr. Gregory Thornton presented the award to Daniels, on behalf of the School Board and the entire district, on July 26 at the monthly MPS Board of School Directors meeting. "I am grateful for this tremendous honor," said Daniels. "I am extremely proud of my partnership with MPS, and I remain committed to helping to educate this community's next generation of leaders." Quarles & Brady LLP is a full-service law firm with more than 400 attorneys practicing from offices in Phoenix and Tucson, Ariz.; Chicago, Ill.; Naples and Tampa, Fla.; Milwaukee and Madison, Wis.; Shanghai, China; and Washington, D.C. The firm provides an array of legal services to corporate and individual clients, which range from small entrepreneurial businesses to Fortune 100 companies. Additional information about the firm may be found at www.quarles.com, and on Twitter, LinkedIn and Facebook.